This bike is currently FOR SALE! In 1974 when I started S.G. Cycle Works I did a lot of portwork. Yes, a lot of dirtbikes, but by far the #1 was porting R5 and RD350 Yamahas. When I was asked by Michael Lichter to build a bike for his Ton Up exhibit in Sturgis 2013 the bike I wanted to build was a RD350. I like the featherbed frame design that Norton had used on their legendary race bikes. Those Norton frames used Reynolds tubing which is made in England. So, the next thing I did was contact Reynolds Tubing about getting some Reynolds 853 tubing custom drawn for this frame. This is the FIRST frame that uses some Reynolds 853 in the USA! Reynolds 853 has an ULTIMATE Strength over 200,000PSI ! So this is how it all started, and why the name, Streak? This bike is fast, light and naked. In 1974 streaking was done by fast and naked people. Get it? The stock bike had a weight of 378lbs. 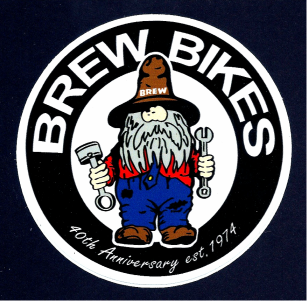 The BREW Streak RD350 has a weight of 243lbs. The BREW RD350 is 57HP, WAS 57HP, now???? MORE! The bike has a modified Yamaha R5 tank, Alloy D.I.D. rims with Buchanan SS spokes. The rearsets are from Loaded Gun Customs. The Engine has Wiseco forged pistons, MZD ignition, SpecII chambers, Lectron 34mm carbs and all fluids are from Spectro Oils. The tires are Avon, Hagon Rear Shocks, Hot Wing Glass seat and so many of the parts used came from Bikers Choice and Tucker Rocky. The Featherbed frame features a continuous piece of tubing as 1 side section. The Yamaha RD350 factory frame and swingarm weighed 52.8lbs. 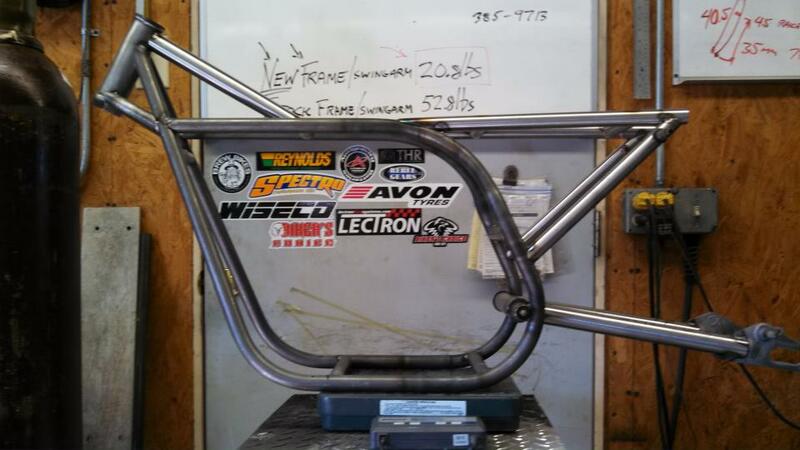 The NEW Reynolds Featherbed frame and swingarm weighed in at 20.8lbs! The above photos by Michael Lichter! 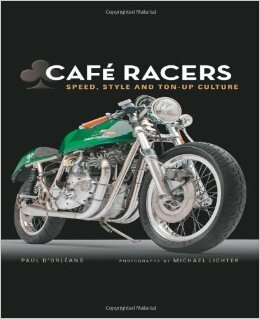 The RD350 has 4 full pages in the book Café Racer by Paul D'Orleanns and photos by Michael Lichter. 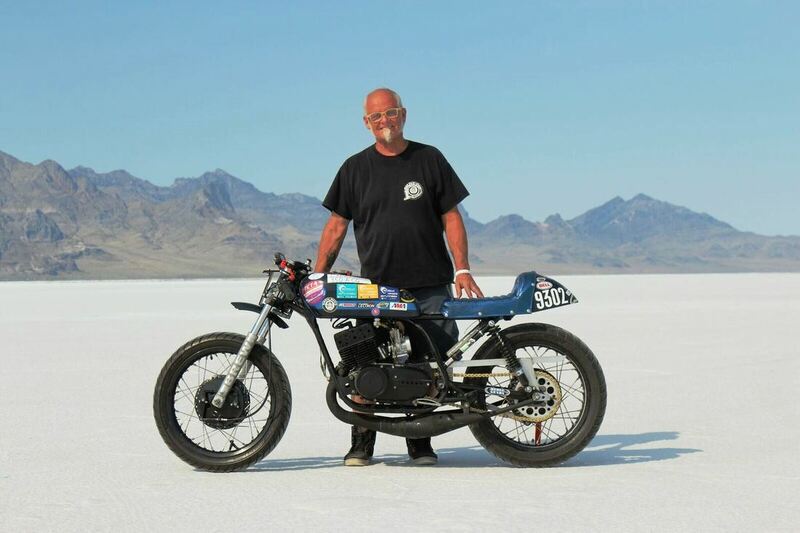 6 ECTA land speed records with more to come! PRICE $7.900 or Best Offer! Bikers Choice, Tucker Rocky, Spectro Oil, Speed & Strength, Wiseco Performance, Lectron Carb, World Wide Bearings, Spectro, Avon Tyre, Fowler Distribution, Pro Riders Marketing, LC Fabrications, Buchanan' Spoke, Loaded Gun Customs, and Mount Airy Cyclery! Supporters are Regina Gillespie, Rodney Smith, Jay Pruitt, Frank Winn, Chuck Skarsaune, Joseph Friesen, Landon Phillips, Walter Rager, Carl Sundquist, James Moore and Fred Matthews. Thanks so much!